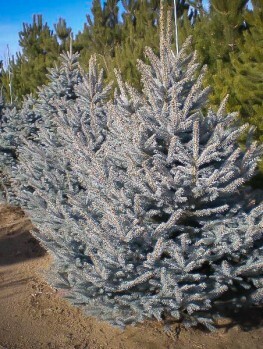 The Pimoko Spruce Tree is a charming miniature tree that forms a broad globe on a sturdy trunk. 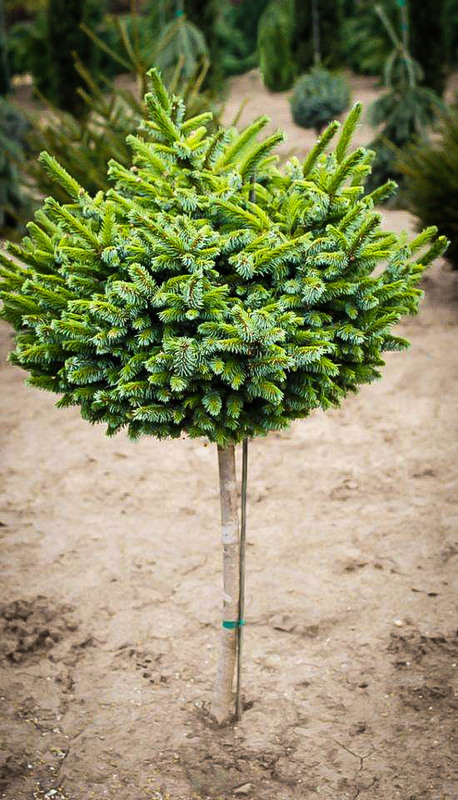 It makes a wonderful vertical accent and a gift of this tree is a great way to help someone improve the layout of their garden immediately – with a tree that needs no special care and will grow happily in a wide variety of conditions. 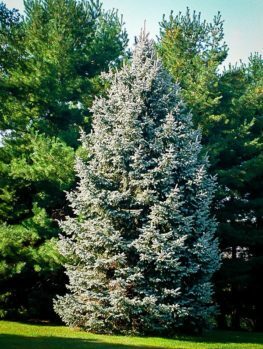 The foliage has a unique silver back that makes this tree sparkle in the light and be a real eye-catcher. The fresh, light-green spring shoots really start the season with a smile. 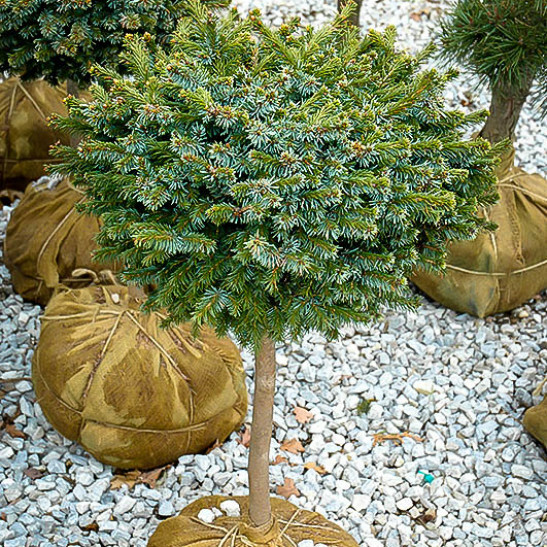 Forming a rounded globe on a trunk, and maturing to 4 feet tall and 2 feet wide, this tree is just perfect for a smaller garden, and leaves room around its base for planting, taking up no horizontal room at all at ground-level. It also makes a great specimen for a planter box or container and is perfect as a pair to give any front-door a real presence. 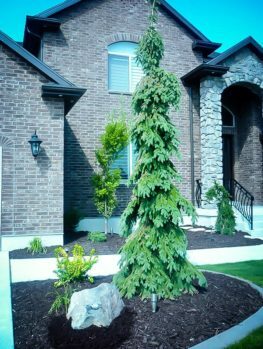 All the Pimoko Spruce Tree asks is a sunny spot in any kind of soil that is not constantly wet, some water during dry spells, and it will become a great rounded accent that is always neat and tidy without any trimming needed at all. This dwarf plant will be a long-lived addition to anyone’s garden and makes a great gift that shows you care about beauty and the receiver’s available time to work in the garden. Creating accents with taller plants is one of the secrets of good gardening. It is easy to end up with a mass of shrubs of similar heights, lacking definition and becoming a bit of a blur. An accent plant catches the attention of our eyes and mind, slows them down and helps us visually understand the things we are looking at. Good garden design places accents at corners, or spaced along a mass planting to create order out of potential chaos. In a small garden adding some height without adding a lot of width as well can be difficult and this is where tree-form plants come into the picture. In this product of the gardener’s craft, small plants are attached to taller stems, so that they give height, but being small, don’t add width. 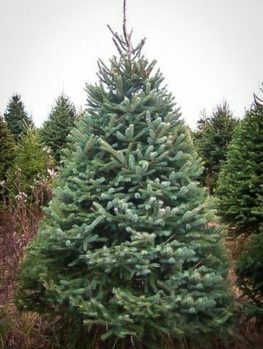 The Pimoko Spruce Tree is crafted in just such a way, and makes a great gift choice, both for its intrinsic beauty and for its value in tying together a garden plan. Whatever your reason for gifting a tree, this beauty is a great choice, because it has all the virtues of the ideal gift. An evergreen needle tree with tiny ¼ inch needles clustered on compact stems, Pimoko also sparkles in the daylight, because each needle has a silvery back, which catches the light and makes this tree bright and really eye-catching. The upper surface is an interesting blue-green color, so this tree is colorful all year round. In winter and early spring the reddish buds are bright too, and to top it all off the new shoots are a light and bright spring green. 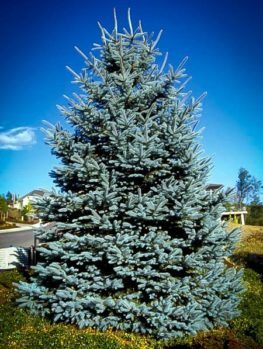 The Pimoko Spruce Tree is a real eye-catcher, whatever the season. As for its shape, this tree is the perfect round ball on top of a short trunk, to create height. Over time it will grow slowly to around 2 feet wide and 4 feet tall, with the foliage broader than it is tall and the clean trunk becoming thick and sturdy to support it. This means that other plants can easily be grown beneath it, allowing more color and interest in the same space, an ideal strategy for the smaller garden. It also makes a great container plant, because you get good height and room for annuals and color beneath as well. 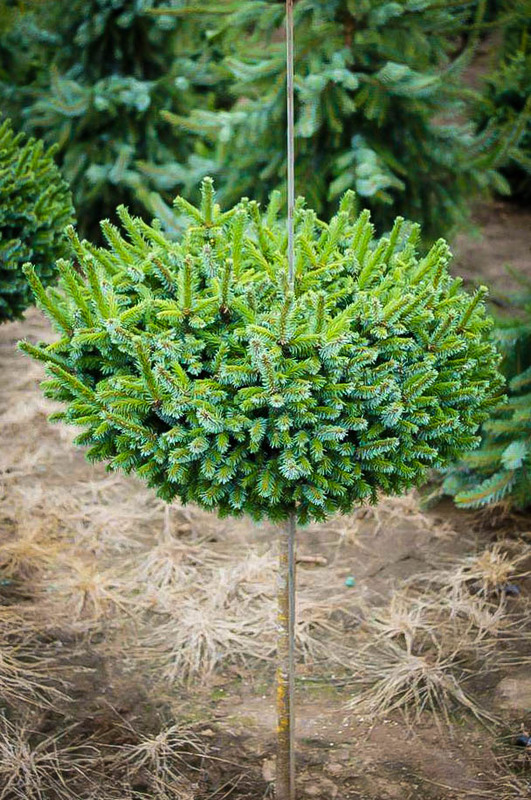 Many plants that are rounded balls need clipping to keep their neat appearance, but the great news about the Pimoko Spruce Tree is that it doesn’t require any clipping or trimming. It is a natural dwarf that stays neat and trim all by itself, with no work from anyone. So as a gift tree it is ideal for the busy person who wants a great garden but is short on time to work in it. 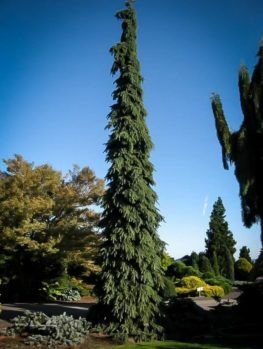 The Pimoko Spruce (Tree Form) grows in all kinds of soil, tolerates cold and heat and simply asks for a sunny location in soil that is not constantly wet. Once established it will tolerate the dryness of a normal summer easily, but will benefit from attention to watering, especially while it becomes established, and during extended dry spells. 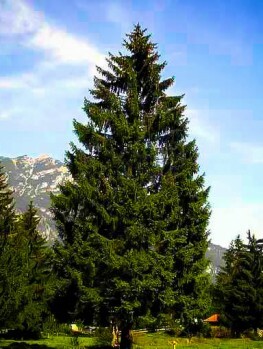 Despite its small appearance, this tree comes from a tall forest tree, the Serbian Spruce (Picea amorika) a rare tree that comes from a few locations along the Drina River in Serbia, where it can reach 100 feet tall. It naturally makes a slender, narrow spire of a tree, but there are some dwarf forms as well. ‘Pimoko’ is the most outstanding of them, and it originated in 1980 at the W. Wuestermeyer Nursery in Germany. Like some other dwarf evergreens it was a natural ‘witch’s broom’. This is a curious event where some part of a large tree produces a mass of small shoots, with tiny leaves and dwarf stems. When this is found it can often be propagated and a dwarf plant will result, and this is where ‘Pimoko’ came from. With such a special origin, it is important to produce new plants correctly and our growers take pieces from parent trees and graft them to sturdy trunks of wild trees. 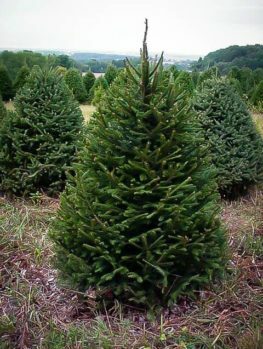 Obviously, seedling trees would not be anything like this tree at all, so avoid cheaper trees of unknown origin and pick the real thing. 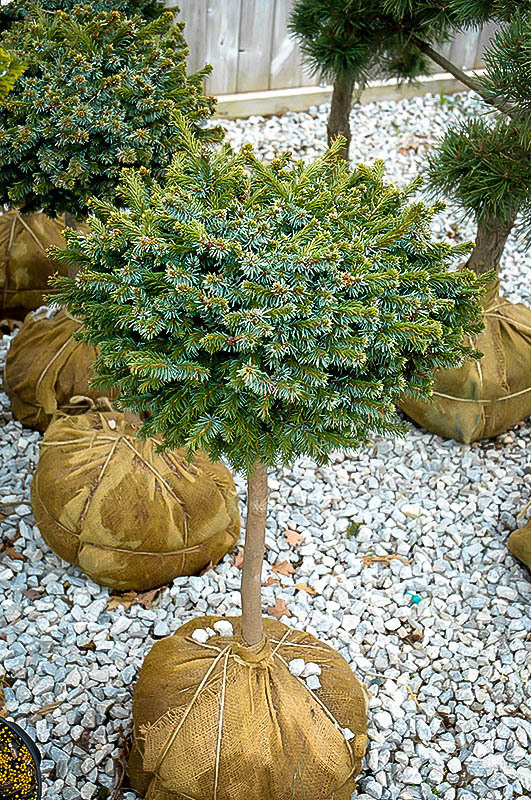 As an addition to any garden, or for someone who gardens in containers, the Pimoko Spruce Tree is a great gift. It is easy to grow anywhere it can be planted in the sun, it needs almost no care, and yet it will give a great lift (literally!) to a garden bed or planter in any style of garden at all. A pair flanking an entrance would be a great welcome to the home. Supplies of such a special tree are always limited, so order now to avoid disappointment.